According to Deloitte’s annual study of M&A activity, technology acquisition became the number one driver of acquisitions in 2018 ahead of expanding customer bases in existing markets, or adding to products/services. More than 33% of respondents said that at least half of their M&A deals involve acquiring targets operating principally in foreign markets – and Canada topped the list of likely targets for cross-border M&A. From the graphic above, we can see that 40% of the transactions were in software, 20% were in telecommunications, and 20% were in semiconductors. While 2018 was a record year, especially for Software M&A, we started to see signs of volatility creeping into the tech markets towards the end of the year. Continued robust M&A markets, especially for Software - It was a record year in 2018 for the volume of Software M&A. While we don't expect to hit the same highs, we do expect 2019 to be nearly as strong. In addition, we expect the first half of the year to be stronger than the second as the slowing macro economic environment begins to eat into deal flow in the back half of the year. Blockbuster tech IPOs - There's an expectation that some pretty big tech IPOs will come to market in 2019 (i.e. Uber, Lyft, Pinterest, Slack, Palantir, Robinhood, Cloudflare, etc.). 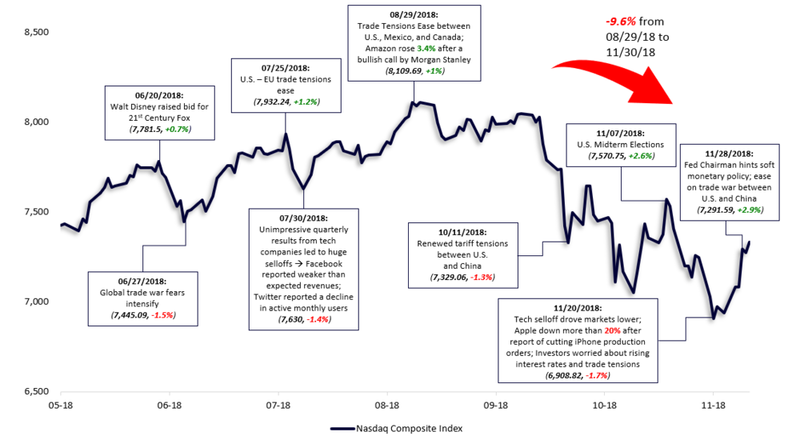 Some of them are likely to make it out and others could miss the window, especially if the broader tech market continues to be as volatile as it has been over the last few months. More mergers of equals - An alternative to distressed sales is likely to be smaller companies that are not self-sufficient on their own combining to achieve scale and become stronger together. More distressed transactions - We already saw a glimpse of this in 2018 with some high-profile VC-funded companies getting sold in distressed sales. Given expectations of a slowing macro environment and slowing VC raises, we expect to see more of this in 2019. So, there could be opportunities for larger companies to pick up strong products and / or teams at attractive prices. A slowdown in VC capital – The recent consensus from some of the VCs is they expect a market downturn soon. If they all begin to think like this, then VC deal flow could slow dramatically as they look to keep more cash on hand for transactions at lower multiples.